A team at Auburn University is recreating one of the most pivotal moments in civil rights history – Bloody Sunday – as an interactive 3D model that will allow generations to come to experience and learn about the events that transpired on March 7, 1965 at the Edmund Pettus Bridge in Selma, Alabama. "Although its place in civil rights history is secure, the site of this fateful confrontation is endangered by age and neglect," said Danielle Willkens, assistant professor of architecture and project lead. What began as a peaceful civil rights demonstration of 600 people ended in confrontation with the Alabama State Troopers, ultimately leaving 17 marchers hospitalized and 50 more injured. What remains from the day are black and white photographs of the conflict, but very little archival material addresses the physical context and timeline of the Bloody Sunday conflict. Even visitors today to the Edmund Pettus Bridge encounter an altered landscape from what the demonstrators saw in 1965. Those changes serve to alter visitors’ perceptions of the sites surrounding Bloody Sunday. 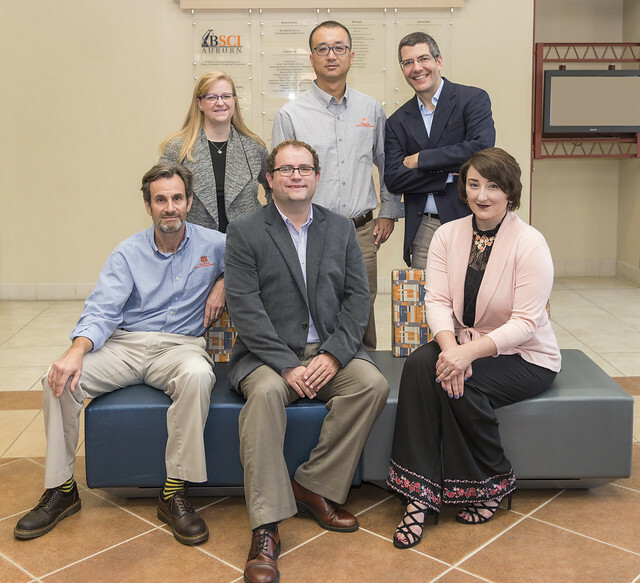 A multidisciplinary group of faculty members and students at Auburn is working to change that. 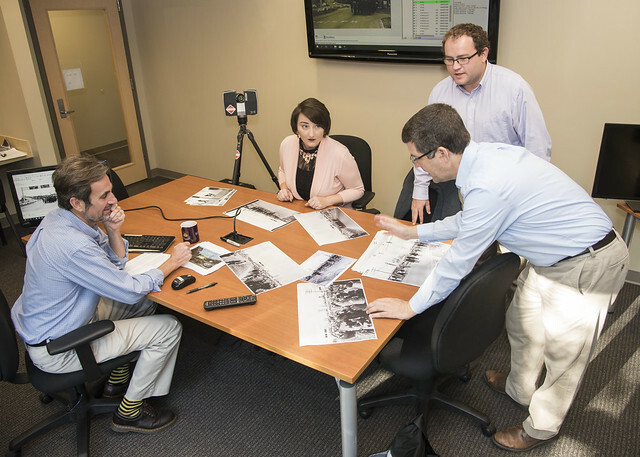 By producing a digital suite of materials that document the past and present of the historical site, Auburn’s team will help visitors fully understand the events of that day, and how they shaped the country. "Our goal was to create a technologically sophisticated, painstakingly accurate re-creation of the space as it appeared on March 7, 1965, thus preserving in digital form a record that otherwise will be lost to time," Willkens said. The most significant piece of the project is an interactive 3D model that will allow visitors to experience Bloody Sunday from various perspectives, including those of the marchers, the troopers and the onlookers. Other digital experiences include an interactive version of the Good Samaritan Hospital log that recorded the treatments of injured marchers and an archive that will include narratives and oral histories of the event. The photographs in the collection provide several views of the historic structures and buildings, now gone, that formed the background for the events of Bloody Sunday. This project will bring one of the most significant events of Civil Rights history to life. Drawing the past forward into the digital world will offer the public opportunities to explore and experience historic events in ways that traditional documents alone cannot recreate. 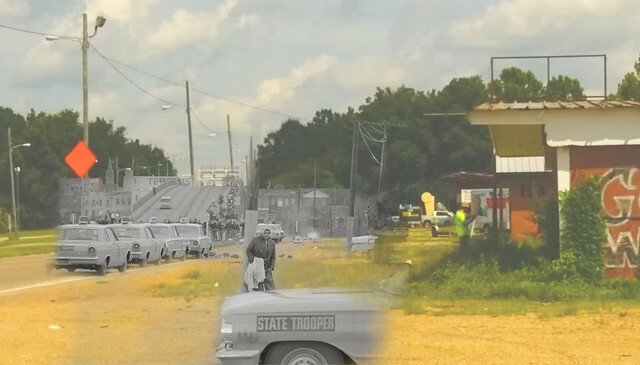 A team at Auburn University works to create a digital experience of the events that happened in Selma, Alabama on Bloody Sunday. Pictured are: (from left) Dr. Richard Burt (Building Science), GRA and PhD candidate Heather Haley (History), Dr. Keith Hebert (History) and Dr. David Carter (History). A team at Auburn University has been working to create a digital experience of the events that happened in Selma, Alabama on Bloody Sunday. Pictured are the project team: (front row) Dr. Richard Burt (Building Science), Dr. Keith Hebert (History), GRA and PhD candidate Heather Haley (History); (back row) Dr. Danielle Willkens (Architecture, Planning and Landscape Architecture), Junshan Liu (Building Science), and Dr. David Carter (History). A team at Auburn University has been working to create a digital experience of the events that happened in Selma, Alabama on Bloody Sunday. This photo is part of that work and displays the past and present together from the scene where events transpired. Auburn University is a nationally ranked land grant institution recognized for its commitment to world-class scholarship, interdisciplinary research and an undergraduate education experience second to none. Auburn is home to more than 29,000 students, and its faculty and research partners collaborate to develop and deliver meaningful scholarship, science and technology-based advancements that meet pressing regional, national and global needs. Auburn's commitment to active student engagement, professional success and public/private partnership drives a growing reputation for outreach and extension that delivers broad economic, health and societal impact. Auburn's mission to educate, discover and collaborate drives its expanding impact on the world.